﻿ Electric tube rolling drives by Powermaster. All models with PDFs and a detail description displayed to the right of the page. High Torque, two geared, and variable speed. All units available in either 110 or 220 Volt, 50/60 Hz. 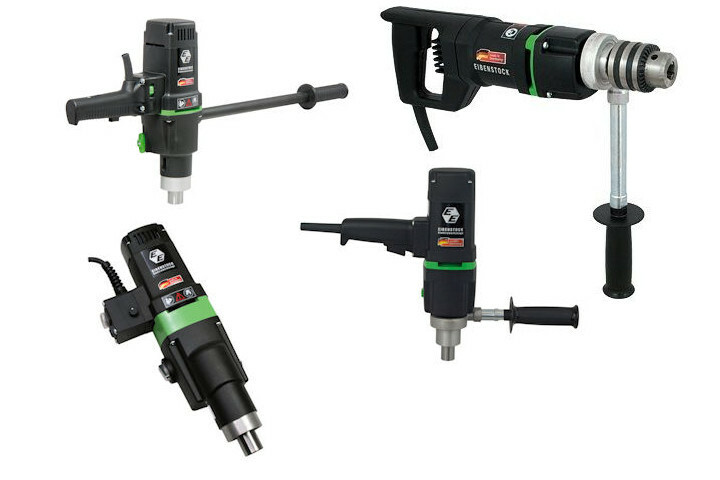 Ideal for tube rolling, drilling, tapping and reaming steel. Driving applications include mills, spindles, bar boring, pipe beveling and valve turning. Perfect for the tube rolling of fire and water tube boilers. 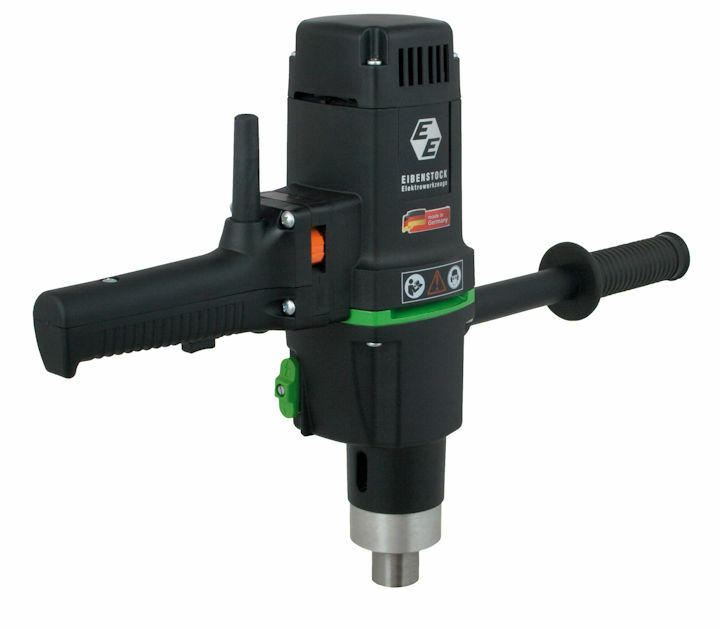 Mechanical safety clutch prevents operator injury or damage to the tool. # Not present on all models. Consult the PDF Specifications to the model selected. Eibenstock Rolling Drive in action on a large heat exchanger. The Eibenstock drive above is rolling tubes in a large heat recovery vessel with 1.0"OD tubes and the operations is being carried out with a 5 roll tube expander from the 800-5 series. The weight of the rolling drive unit is supported by an SWF Series Spring Balancer to alleviate operator fatigue. EHB 16/2.4 SR/LC High Torque Multi Geared, varible speed driver. 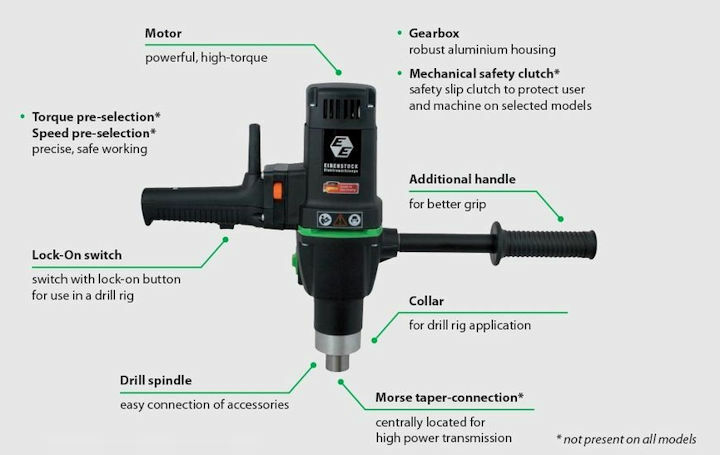 The EHB 16/2.4 SR/LC drill/driver has the power needed to get the job done. 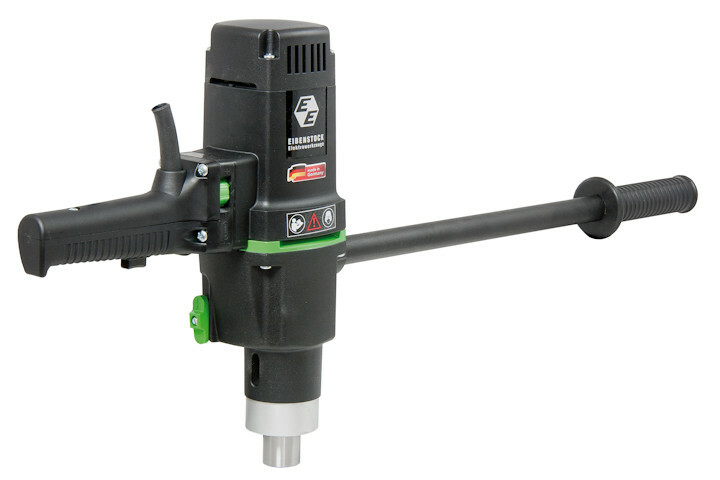 This driver will roll tubes up to 3/4"OD and drill up to 5/8" capacity in steel. The powerful 10 amp motor will give a maximum torque output of 19 Ft/Lbs and with the two load speeds can give you control from 0 to 430 or 0 to 760 rpm. Consult the PDF Specifications below to cross refer all data to the model selected. EHB 32/2.2 R/RL High Torque with intergrated Torque Controller. The EHB 32/2.2 R/RL is one of the work horses for rolling tubes up to 2.0"OD with up to 92 Ft/Lbs torque. The unit is fitted with an integratedtorque controller therefore the finished ID can be achieved and then the unit is set to roll all tubes in the pressure vessel to the same torque achieving the same wall thinning. 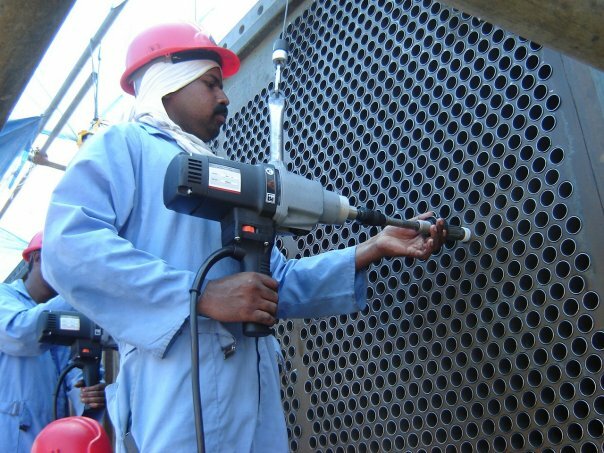 Fitted with a mechanical safety clutch prevents operator injury or damage to the tool.torque controller therefore the finished ID can be achieved and then the unit is set to roll all tubes in the pressure vessel to the same torque achieving the same wall thinning. 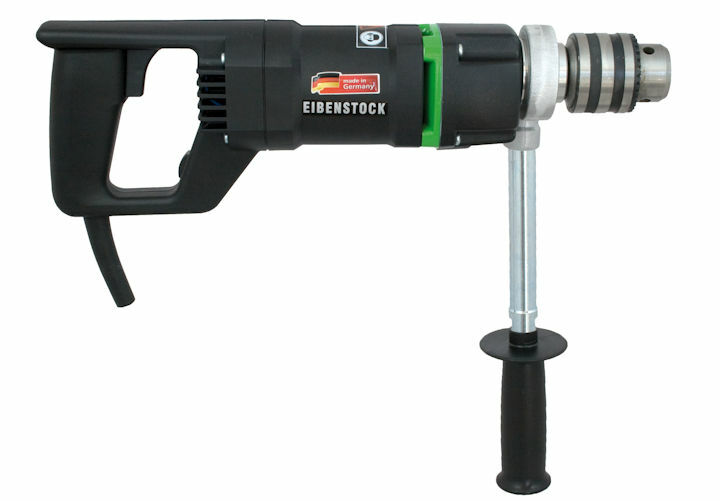 Fitted with a mechanical safety clutch prevents operator injury or damage to the tool. EHB 32/2.3 R/RL High Torque tube rolling drive unit. The EHB 32/2.3 R/RL will roll tubes up to 3.0"OD with up to 174 Ft/Lbs of torque output. The unit will roll beaded tubes with the Powermaster Combination Beading Expander up to 2.1/2"OD. Available in either 110 or 220 volt with a powerful 16.3 amp motor, these drivers produce an impressive almost 1800 watts of power. Load speed is is 30-75 rpm or 90-230 rpm and can be supplied with either Morse taper Male or Female Square Drives. This unit is the ideal tube rolling machine when a torque controller is not required. Being made in Germany to the highest of standards these units can be used with confidence for years of hard work.